I have warned that whenever a government creates a solution to any crisis, that solution becomes the next crisis. 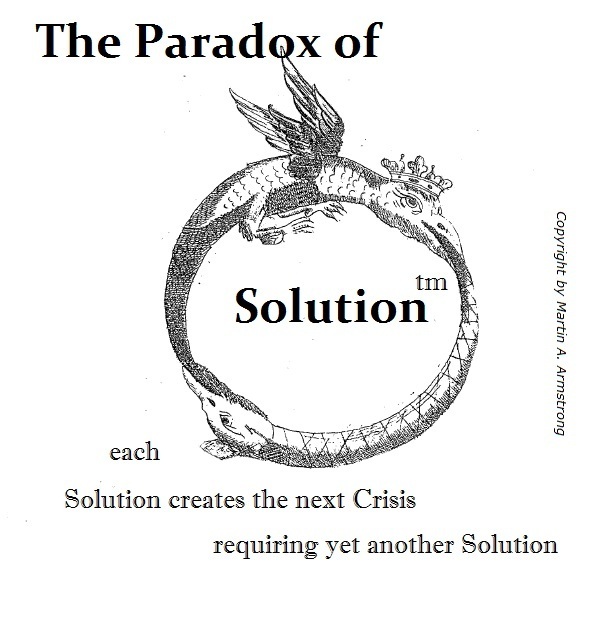 This is what I have called the Paradox of Solution.The unfolding of the exit of the central banks from the Quantitative Easing monetary policy will become a much more serious threat to the financial markets than anyone suspects. The Federal Reserve has already exited and begun to raise rates while also announcing it will NOT be reinvesting the money when the government debt they bought expires. The Federal Reserve is already shortening their balance sheet. Bills of $426 billion will be due at the Fed in 2018, and again about $357 billion a year later. So the Fed will not repurchase that debt. The US economy is absorbing this because US dollars are effectively the only real reserve currency in the world right now. The real problem lies with the European Central Bank (ECB) and the Japanese central bank and when they exit their Quantitative Easing programs, their economies are not the reserve currency and lack a solid bid from international capital. The end of QE will lead to a sharp increase in yields on the bond markets, and thus the financing costs for the states will explode far more rapidly today than at any time in past history. 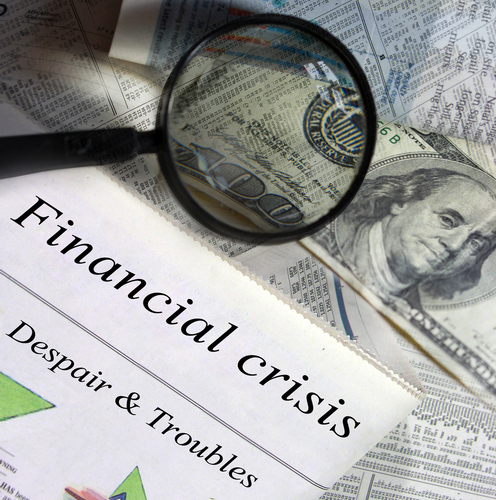 It is also possible that other sectors of the financial system, such as the stock markets and the foreign exchange markets in peripheral economies to the USA, will be cast into turmoil experiencing great difficulties without the financial support of the central banks. Since 2008, the Bank of Japan recorded an increase of 107 trillion yen. The ECB has more than doubled its balance sheet from EUR 2 trillion to EUR 4.1 trillion and holds 40% of member state debt while tensions rise against the EU. The crisis emerges when governments, who are the ones who have been subsidized since 2008, find no bid for their paper. This will really send rates upward at a rapid pace. As central banks appeared as omnipotent purchasers of government bonds to the un-savvy trader, the yields of the debt by no means reflect the risk of a default in the country’s payments. The decline in yields masked the rising risks from fiscal mismanagement that has been widespread. While the Federal Reserve had recently announced that it would no longer reinvest its gains on government bonds that had matured into new US securities, the US bond market will need to find new buyers to absorb the additional supply. That may not be a problem right now, but as other government debt moves into crisis, we will see the capital flight from bonds to equities unfold. The balance sheets of both the Japanese central bank and the ECB are unlikely to follow the Fed just yet. A withdrawal of the ECB’s purchases of securities could produced the most widespread damage in Europe since the Dark Ages.